An Antarctic Mystery; or, The Sphinx of the Ice Fields, was published first in 1897 as a response to Edgar Allan Poe's 1838 novel The Narrative of Arthur Gordon Pym of Nantucket. It is an adventure story following the journey of of an unnamed narrator through the Kerguelen Islands in the Indian Ocean aboard the ship, the Halbrane. Jules Verne was a French writer and pioneer of the science fiction genre through novels like Twenty Thousand Leagues Under the Sea, Around the World in Eighty Days, A Journey to the Center of the Earth, and The Mysterious Island. A visionary, Verne wrote about air, space, and underwater travel long before the ability to travel in these realms was invented, and his works remain amongst the most translated, most continually reprinted, and most widely read books of all time. 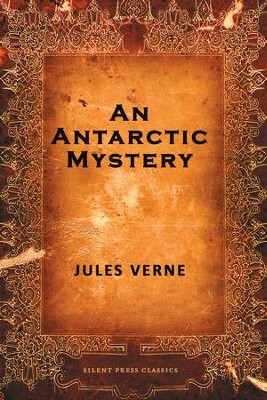 Jules Verne died in 1905 having paved the way for future science fiction writers and enthusiasts. I'm the author/artist and I want to review An Antarctic Mystery - eBook.